Reignite Love Dating Tips & Strategies: Want To ATTRACT Women? Use Humour! Attract Any Women, Any Time, Any Place Using The Power Of Humor! Well, we all know, almost instinctively, that humor is an essential quality of attractive men and a powerful tool to be used in any dating situation... But why? Why is humor powerful? Humor is associated with laughter, and laughter is associated with pleasure and happiness. Which girl doesn't want to have a good time? And would YOU rather be around someone who can make you laugh heartily? Humor is also associated with being comfortable with oneself, because usually only guys with unshakable confidence have a great sense of humor. The typical image of a humorous guy is never flustered or too hung up about trivial things. Instead, he's able to have fun in even the most difficult situations and he knows how to make others have fun. Simply put, humorous guys are attractive. Additionally, humor is a powerful way to diffuse tension. You can pull off almost any embarrassing situations or misunderstandings with the right humor. Made a mistake when approaching a woman? Wrong vibe? Humor can always come in handy to turn it around. 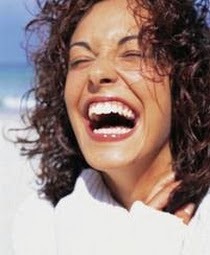 In fact, it's psychologically impossible to dislike someone who have consistently made you laugh! How to Use Humour to Win HER Over the Way Noone Else Can! using humour as an Ice-Breaker, a Warm-up Gizmo!, a 'LIKE' Magnet and even MORE? Open your mind and see the possibilities when you use a different approach to everyone else. She will sit up and take notice of YOU especially if you give her a good time ... LAUGHING! You are NOT coming across as needy or 'cliched' to death... just GOOD FUN! What woman doesn't like that? A guy who makes her roll with laughter is a Godsend! It's actually easier than many realise to use humour to attact women! The good thing is she will more than appreciate your FRESH & FUNNY approach!